In today’s post, I’d like to share some advanced MLM training. These are 12 ideas to ignite your MLM Business in the next 12-months. I attended a great training event a few weeks back and took more than 20-pages of notes. From my notes, I consolidated everything into 12 simple and named it my advanced MLM training. From those 12 tips, I added my own insights and perspective to it. Perhaps your network marketing business is stagnant. Maybe it slowly declining. Maybe you aren’t getting the duplication and growth that you want. Or, your business never took off the ground. If any of those situations describe you, you are in the right place at the right time. This advanced MLM training can help you get the breakthrough in your business that you want and deserve. These ideas are listed in no particular order. Enjoy the advanced MLM training. Raise the bar for everyone you sponsor and let THEM decide if they are ready to be a champion. Give them that choice. Expect greatness from everyone on your team, including yourself. Tell your new reps what is possible and share the game-plan with them on what they need to do to get started right. You owe it to your team to let them know what is possible. Most people fail or do nothing because no one demands greatness out of them, or tells them what is possible. Don’t hide behind your computer, email or social media account. The phone is your friend; it does not weight 600 pounds. Have the initial conversation by text or Facebook messenger and then take it to the phone as quickly as possible. The people who are growing the most in the business use the phone. This business is a relationship business; talking on the phone with someone is an easy way to connect with them. Don’t gamble your title, time, or income on inactive people. Don’t try to drag people across the finish line or make them successful. Send everyone through your getting started training and work with those who are coachable and willing to work. Don’t stop your personal sponsoring just to help your team. Keep the door open for your inactive people to ask you for help, but don’t stop and wait for them. Spend 90% of your time with the 10% who are workers. The faster you help your team get a win, the higher the likelihood they will stick around. The longer you take to help your team to get a win, the higher the likelihood they will drop out. Help people get a win QUICKLY, ideally during their first 48 to 72-hours in the business. Don’t spend all your time trying to recruit unemployed, broke people. You are looking for people with disposable income. You are looking for entrepreneurial minded people. You are looking for success minded people. You are looking for people who see the VALUE in your products or services. Recruit ONLY AT your level of success and above. If you recruit an unmotivated person, RECRUIT THROUGH their warm market until you find a winner, and then go to work with that person. 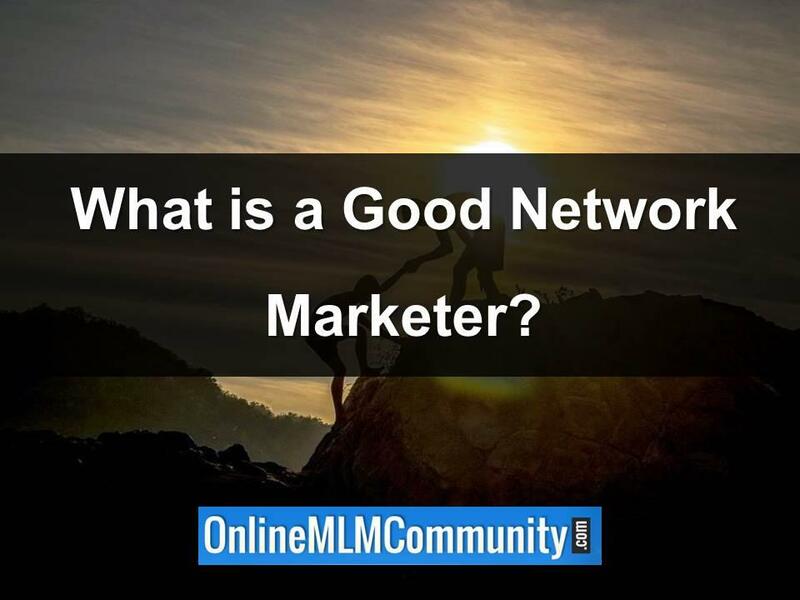 # 6: What is a Good Network Marketer? A good network marketer is not a good recruiter. 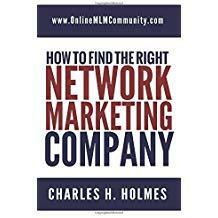 A good network marketer is someone who is GOOD at helping their team recruit. There is a big difference. With personal recruiting, you will max out or burn out. The key to success is duplication. Get good at tap-rooting. Work with the newest, most excited distributor at the deepest level in your organization. Build your business from the bottom up; light a fire in the basement and watch the heat rise! Get good at launching new distributors. Your # 1 goal when you sign someone up is to help them sign someone up quickly. Don’t give up what you want most for what you need right now. The opposite of excellent is good enough, most people are just comfortable enough that they won’t do the things that make them uncomfortable. Don’t let your temporary challenges keep you from going to the top with your company. Keep your vision in front of you at all times. In these examples, I put the name of my MLM Company in it, just to give you an example. Feel free to change things up and switch out my company with yours. I’m a stay at home. I love raising my kids, teaching them my values and being home every day. Since I gave up my corporate career, I lost part of my identity. I also want to contribute financially to my family, so I started a Regenalife business to allow me to have the best of both worlds. I’m a mechanical Engineer. I love the creative part of my job and seeing new items being designed from start to finish. However, I don’t like my commute or the people I work with, so I started a part-time Regenalife business to walk away from my career and live on my own terms. I’ve been overweight for almost 10-years. I’ve tried every diet you can imagine. I’d lose weight and then gain it back. As a final resort, I decided to try the Regenaslim shake. I simply replaced two regular meals per day with a shake and then ate one normal meal. In just 30-days I lost 15-pounds and feel great. When I turned 40, I decided to get serious about my health. As I did some research, I learned about the dangers of GMOs, pesticides, toxins and chemicals in every day food. I decided to go organic. When I learned about the Regenalife products, I found what I had been looking for. There are many great companies in the network marketing industry. What I’ve found is that the most successful reps joined the right company at just the right time. They joined a company before it was a household name. Regenalife is the right company at the right time. It’s about 10-years old, yet very few people know about it. There are lots of network marketing companies to choose from. What I have found from personal experience is that most of them are designed for the top 1 percenter, and not the part-timer. Regenalife is different. Regenalife is great for the “little guy” and the serious person. It’s the best of both worlds. You may or may not have a personal interest, but I’m hoping you can lead me to just the right person. I’m looking for referrals. Everyone has a ratio. It’s the number of people you talk to, the number of presentations that results in, and the number of people who join after seeing a presentation. Even a great recruiter will sign up no more than 1 or 2 in every 10 people they approach. Once you know your ratio, the business becomes predictable. Your ratio will improve as you improve your skills. Keep track of your ratio for at least 90-days, so you know your numbers and know what to expect. As a leader, you must consistently sponsor new reps every single month. Aim for 2-5 new personally sponsored reps every month, no excuses. Being consistent helps with your skills, mindset, and confidence. The longer you go without taking action, the more doubts you get. You don’t want to be your prospect’s only exposure to the business; even if you are successful in the business, always use third-party tools and your upline. The only thing you can control in the business is what you do; focus on that. Your story is your greatest recruiting tool. Events are everything. Network marketing is an event driven business. Promote the next event like your business success depends upon it (it does). 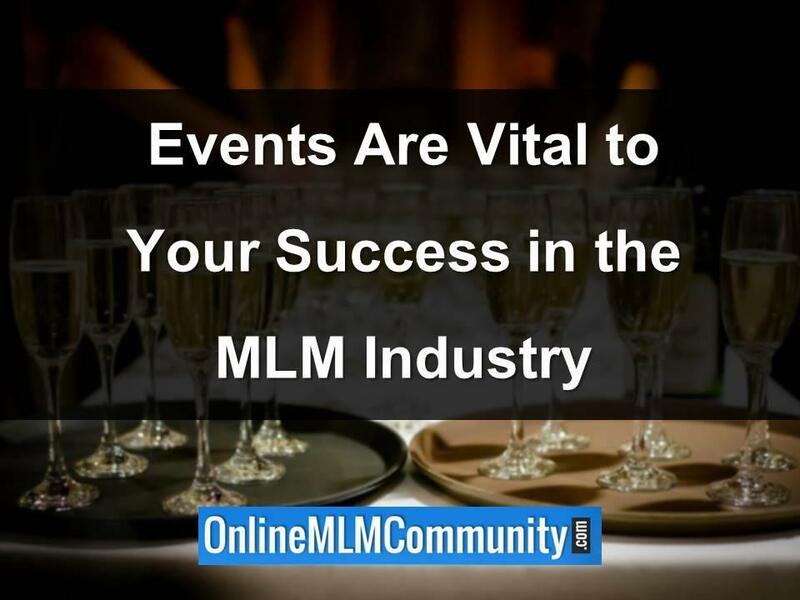 Attend all events no matter what! Events help sell new and current distributors on the opportunity. Most successful distributors made their decision to build it big while at an event. They work; use them with your new reps whenever possible. The # 1 way to help a new team member is by doing three-way calls with them and their prospects. Rather than spending all your time training your new rep, do three-way calls with them, so they can learn and grow their business at the same time. The magic number is about 10-calls before your new person knows what to say and do on their own. There you have it folks. This is my advanced MLM Training for network marketing reps. I hope you found the information helpful. Which tip was your favorite and why? 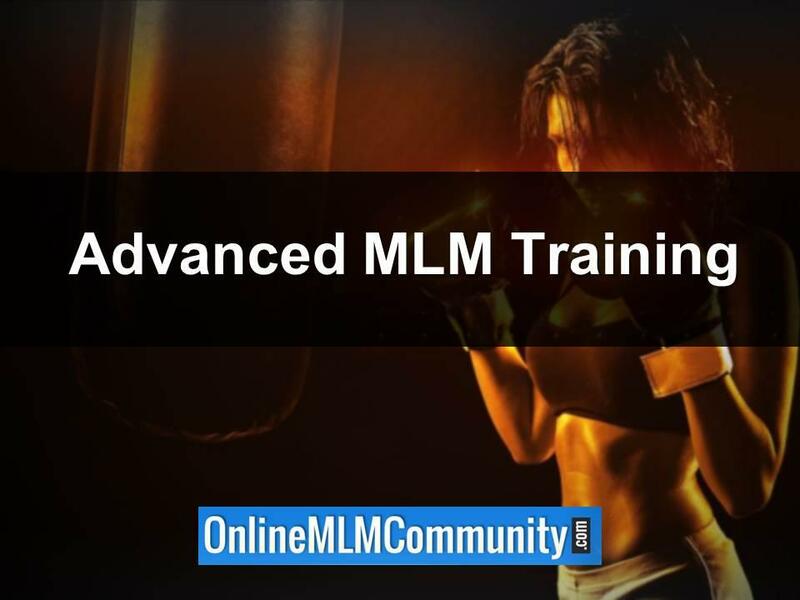 What type of advanced MLM Training do you share with your own team? Leave a comment below to let me know what you think. I look forward to hearing from you. I love the LAW OF PACE. I had never heard of this before until I read your article, Chuck. I’ve been in the industry a few years now, not nearly as long as you, but what I’ve realized is that it is CRUCIAL to launch your new distributors properly and help them get a QUICK, POSITIVE result with the business. I’ve had many good people NOT launch their business and they ended up fizzling out of the business. When you get people started right, you at least give them a chance to be successful. Just my thoughts. I hope that makes sense to everyone reading this. These are all such great tips, Chuck. While you might consider it an advanced MLM training, this information would benefit any MLM rep, regardless of their skill level. I really like how you talked about setting the expectations high for your new people and giving them a sense of urgency. That definitely makes sense to me. The idea of making your money back in your first 72-hours just makes sense. Most business owners never break even that quickly. Helping your rep make money quickly will give them a small win, and help build their belief in themselves, the company and the business. Great training, Chuck!